Being home has been great. It’s been amazing! At the same time, it’s been hard. It’s hard being here and not being able to do anything! I am with Cale 24/7 and as much as I love him…that’s a lot of time together. During that time, I’m the loving wife; I’m the therapist trying to get him to do things during the day that he doesn’t want to do, and I’m the nurse that fights with him to take his medication. I’m the person that is cleaning the house and doing the laundry; I’m the person who is trying to come up with meal ideas daily that Cale will actually eat, and I’m the entertainment in whatever way I can be. I’m the encourager when Cale is struggling. I’m the Psych who talks with Cale and works out his feelings when he doesn’t understand what’s going on. I’m the spiritual leader who reminds Cale constantly that of scripture and how much the Lord loves us. I’m the person dealing with all the finances and all the Army/VA stuff. I’m not trying to complain, just to show (process for myself), that I wear so many hats in one day! I have to do it all. Our friends and family have jobs and other commitments and there’s not someone else to just be there to help with Cale. I made the choice. I made the choice to bring Cale home, even though I knew he was going to need 24/7 care and not be able to be left alone. I knew it was going to be a lot of work and I knew it would be a full task. When there is someone willing to sit with Cale, I have to make the choice to get stuff done that actually needs to be done, or relax. Mama and I got out for about an hour today, and even then, it wasn’t the girl stuff that I was hoping-we took care of things that needed to be done. Again, I know I made the choice. I realized I had been feeling frustrated without knowing it when I found out about Seattle. There were thoughts in my heart that I didn’t recognize until this morning and as soon as I did, I confessed to Jesus what had been going on in my heart. I was thinking that everyone can say it’s ok that we have to go back to Seattle because it’s only a short time, but no one else has to do it. It’s me. It’s me that’s going to have to leave home and go back to the hospital. It’s me that’s going to have to take care of Cale every day after a radiation treatment makes him feel awful. It’s me that’s going to be alone and missing everyone…again. It’s me that’s going to be with him in a hotel room every day, wishing for something different. It’s me putting everything on hold again. It’s me trying to be upbeat for him, so that he will be lifted up. With all of that coming out as I spoke the words, I knew immediately what was happening. I’m typing now, and at the same time speaking against discouragement. I’m speaking against lies of the enemy. I’m speaking against failure and loneliness. I’m speaking against anything wiggling its way into the sweet precious love that Cale and I share. I’m speaking against despair. I’m speaking against all of these things in Jesus name! Thank you for letting me pour this out. I guess I don’t give much of an option when I post it, because then it’s there out in the open, but I needed to get it out! I’ve been so honest on here this whole journey, so I can’t stop now! I hope that you do not take this post wrong. Just know that I feel so much peace and joy now, that was being smothered with a heart issue. Thank you again for being a part of this journey we’re on and for all of your faithful prayers and encouragement! Love you all!! Now that it’s all out, I’m going to enjoy the rest of the evening with my super wonderful husband. :) We played Crazy 8’s for a while this afternoon, and we’re about to jump back into the game! We might even have some ice cream along with it!!! Mmm! Dear Kathleen, How I wish I could change the situation for Cale and you! Of course, if that were possible I'd be standing in a really long line of people attempting to make things better. 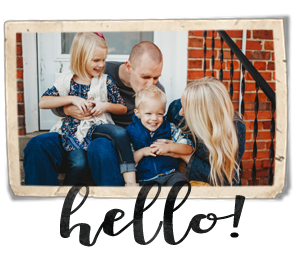 I love you and am following the blog daily and praying for healing, wisdom, encouragement, strength, joy, rest, peace, girl time, Cale's contentment in your home, etc. Have a wonderful weekend! Yes what Reenie said ....what an example...I don't know the purpose but may His grace be enough to sustain you. For His glory. I often think to myself I cannot do this one more minute Kathleen and then I find myself just drawn here and then I read how much you have endured and I know His grace is sufficient enough for me...Praying it is enough for one more day, week , month year for you my darling..
Kathleen! I love you and love you and love you!! Yes, my situation is NOTHING like what Father has given you, but I HAVE had times when I've just wanted to go home...uh, yesterday Lord. I (not you) have whined and complained. I even told Father I didn't think He was going to change my situation, and if He wanted me to change my attitude, He was going to have to do it, because I didn't care if He did or not. You know what, He took it with a smile, gave me the peace that passes all understanding, and wasn't the slightest bit put-out that I told Him what I thought. I guess what I'm trying to tell you, let Father know exactly what you are thinking, He loves an honest, open heart. I am asking Father give you a SPECIAL touch of Himself when you are doing what's before you. I love, BUT Father loves youMORE!!! Hugs, Marion I think you are right, it's easy to say a few weeks isn't bad, when one isn't doing the ins and outs of a thing. Another thought, Yes the weeks are short, BUT the DAYS ARE LONG. It is okay to put your feelings and thoughts into words for us to read. This helps us know how to pray for you and Cale. You are a very strong woman and God will continue to walk with you through this journey. Please continue to post your feelings and do not bottle them up inside. It is a way for you to release so you can continue to be the loving wife you are to Your husband. Thanks for keeping us posted!!! Have Super Day and A Great Weekend! Just wanted to tell you I love you and will be praying specifically for you. I certainly don't know what you are going through, but I have have a *inkling* of how you feel with wearing all kinds of hats. I will pray for stamina for you, and that God will provide rest for you when you need it. I love Isaiah 41:10 that says *...I will uphold you with my righteous right hand..." When I am weary, I like to think of God's hand holding me up, literally. We are still following the updates and love hearing of the new things Cale can do. I love you Kathleen. I will continue to pray for you. It is ok to be honest. It is good for you to be honest with yourself and to share your emotions. Everyone feels your frustration.